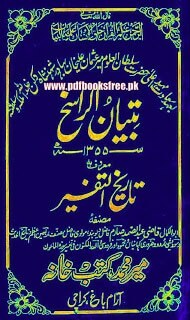 Tareekh ul Tafseer By Qazi Abdus Samad Sarim Tareekh ul Tafseer is an Islamic book providing complete history of Tafseer in Urdu language. The was written by Qazi Abdus Samad Sarim. A valuable account of work on the Islamic history on Tafseer of the Holy Quran. Learn in Urdu language….